We just wrapped up Spring Break and we are back into the groove of this this week now that the kiddos are back in school. I always find that when they are home, it is nearly impossible to work while everyone is awake, so late nights are usually my jam. Thank goodness I can get back to a normal schedule now. But speaking of doing something completely different with my usual routine. This weekend, I had the honor of traveling to San Francisco, California to create beautiful portraits for the Crow family. I was contacted a few months ago about the possibility of traveling to California to welcome The Crow Family’s newest addition, Blakely Christine, to their family. I decided to jump for it and it was such an amazing weekend. Now if you know anything about me, this was my first trip away from my kiddos on a solo trip. Ya’ll, I felt like I was missing something the whole time. I think I checked my bag 30 times just to make sure I had brought my cameras. But alas, when I arrived, I had everything I needed and I was able to relax and enjoy my time visiting the Crows. I had so much fun coming up with a unique way to transform their home into a beautiful studio for us to work in. I challenged myself in ways that I haven’t had the experience of doing in the six years that I have been shooting in studio. It was exactly what I needed to pull some creativity out and have fun with it. Lauren, Blakely’s momma, ordered a beautiful array of flowers from Farmgirl Flowers so we had unique and vibrant colors to incorporate in their session. Ah my word, ya’ll, these were so stinking gorgeous. Hands down my favorite florals I have gotten to work with. It seriously had every single one of my favorite florals. 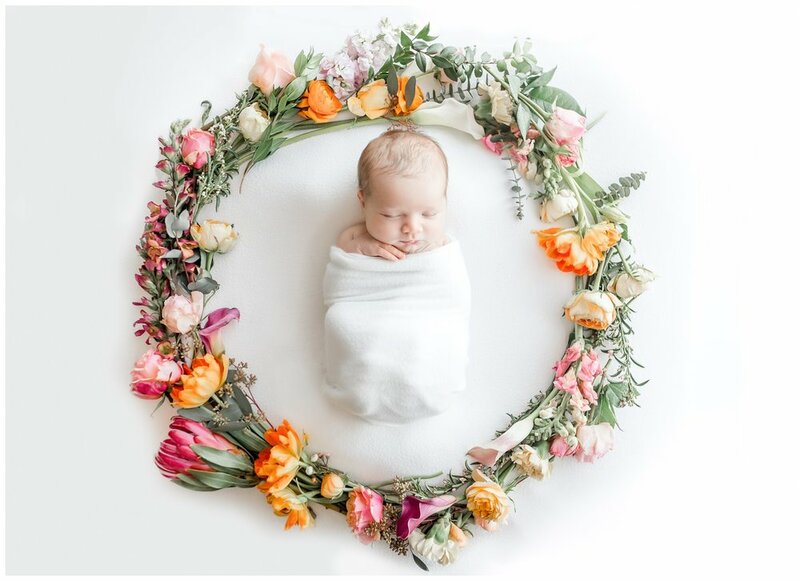 The vibrance of this bouquet was perfect and I was so excited to come up with a gorgeous arrangement for Blakley’s newborn session. I am so excited to share the beautiful portraits from their newborn session. 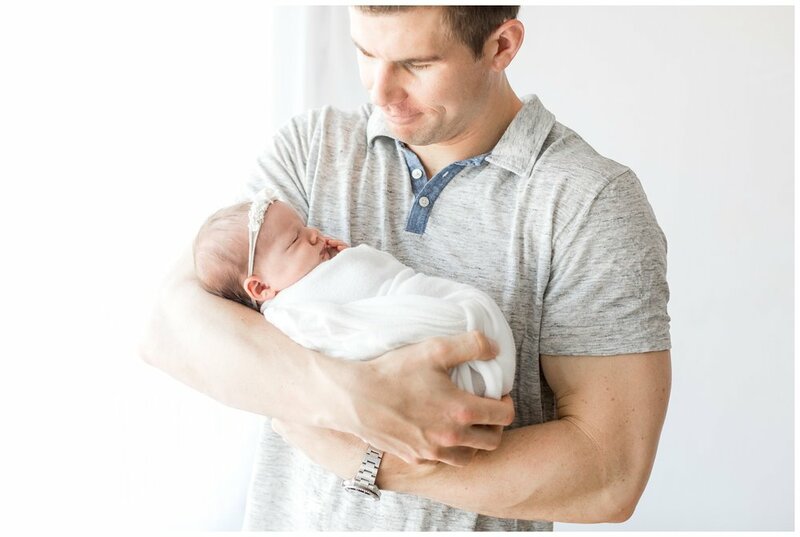 Enjoy this sneak peek from the Crow Family’s newborn session in San Francisco!